Jožef Stefan Institute (member of OpeningupSlovenia) and the Ministry of Education, BiH, Canton of Sarajevo discussed in Ljubljana new collaboration opportunities between the two institutions and ultimately between the two countries, Slovenia and BiH. 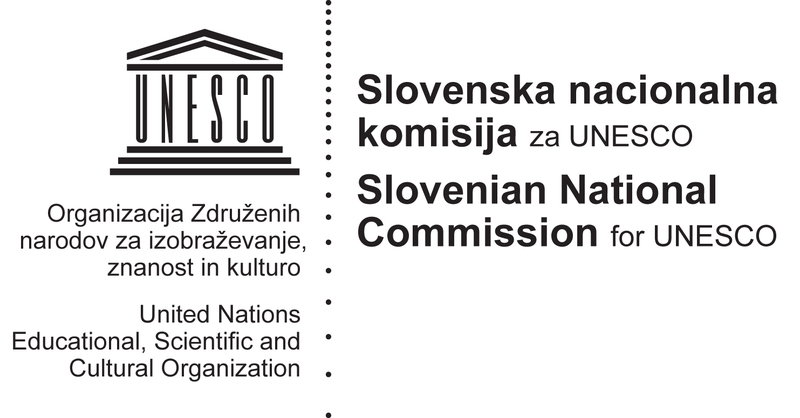 Context: The European Commission launched in September 2013 its new educational initiative and communication “Opening up Education”, consecutively Slovenia proposed to be a “national case study for open education” and created OpeningUpSlovenia, following a strategy setting out Slovenian education becoming open by default for changes, research and innovation in open education. The pre-text idea being that Europe and especially the SEE region lacks behind the USA and that Open technologies allow all individuals to learn, anywhere, anytime, through any device, with the support of anyone. Involve and invite all stakeholders: school teachers and deans, policy makers, governmental officers, provosts, faculty, researchers, UNESCO National Committees in the region. Conference goal: The goal of this event is to bring together researchers and policy makers from both university and academia to present methods for improving the effectiveness of online and open education but also promote discussion of the implications of MOOCs and new EduTech trends for classical university education, especially in the South-East European region. We are keen to promote discussion and research into what new technology can contribute to effective online learning. 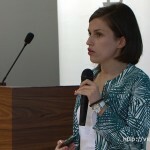 We would like to promote, clarify, identify and define how emerging technologies based on artificial intelligence (AI) and especially language tools, machine learning, machine translation, user analytics, automatic assessment, visualization, social collaboration combined with pedagogical methods and procedures can change and help create new trends in education in the Region. More specifically how will these technologies change and influence today’s traditions in classroom delivery, syllabus, validation, certification and more. Our aim is to form a technical and investigative think-tank of participants to debate and discuss these issues which in the future will affect all educational levels. What is Open Education and how is it connected to the European Commission, UNESCO and ICT in general? How is the Open system complementary with the Closed/Formal? 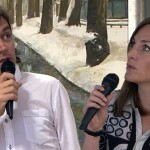 How do you automatically translate and transcribe 20,000 academic talks into Bosnian? Can all aspects of Open Education and all uses OER be tested in one country? Who should attend: We’re expecting school teachers, school principals, researchers from all fields related to education, ICT experts, policy makers and those who are thinking about the next step in education. We’re hoping that many others will join us. Scale: IOE 2015 activity will cover geographical regions that need a boost in the usage and understanding of MOOCs, OERs (Open Educational Resources - term adopted by UNESCO), Open video capturing systems, online learning, etc. Additionally this region is in need of policy changes for a competitive inclusion towards more developed universities and schools. The event will have regional significance and outreach to participants from Slovenia and neighbouring countries from South-East-Europe such as: Albania, Bosnia and Herzegovina, Bulgaria, Croatia, Hungary, Montenegro, Romania, Serbia, The former Yugoslav Republic of Macedonia, Turkey. Knowledge 4 All Foundation Ltd (K4A) and the Artificial Intelligence Lab at the “Jožef Stefan” Institute have started OpeningUpSlovenia, the “Workshop on Co-creation of emerging trends in Academia” in 2012 (videos), followed by the “1st Internet of Education” 2013 with the theme “The role of Computer Science in the Internet of Education” (videos) and followed by the OpenCourseWare Consortium Global 2014 conference with main theme “Open Education for a Multicultural World” (videos). All the events were filmed and organized in Ljubljana by JSI-K4A with EU research projects international partners. The AI Lab is also in partnership with UNESCO and holds a UNESCO Chair on Open Technologies for Open Educational Resources and Open Learning. We plan to have the Internet of Education 2015 conference video-recorded by the Videolectures.Net team from Jožef Stefan Institute. Besides the recording we are planning to video stream the complete conference, invited talks, and some EU project talks. VideoLectures.NET is a free and open access educational video lectures repository. The lectures are given by distinguished scholars and scientists at the most important and prominent events like conferences, summer schools, workshops and science promotional events from many fields of Science. 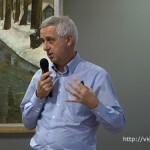 Fred Mulder – Open(ing up) Education: OCW, OER, MOOCs in a conventional world – what’s up in Europe? Accommodation facilities of all categories and types (from five stars hotel to hostels) are currently totalling to 1000 hotel rooms (in 2015) in Sarajevo and surroundings. Additional units can be provided in in pensions, bed & breakfast, tourist apartments, youth and student hostels, and private rooms. Most hotels are within walking distance from the conference site. Conference delegates should arrange air travel to Sarajevo International Airport then local transportation to Sarajevo either by bus, taxi or conference shuttle. From the airport, located only 15 km from the city centre, the national bus company offers a cheap, regular service to the centre of the city. The journey takes less than 25 minutes, and at certain times of the day no more than 15 minutes. By taxi, the journey should take between 20 and 30 minutes, depending on the time of the day. Bus fare is approximately 5 € each way. Shuttle will charge you approximately 5 € for one way and taxi 20 € for one way. Below are listed approximate costs for round-trip economy airfare to Sarajevo International Airport and estimated length of the flight. The prices shown are in Euros and include applicable taxes. The prices are current as of December 2014. Mitja Jermol on OpeingupSlovenia and UNECO Chair activities – Artificial Intelligence and ICT for Open Education Following the success of VideoLectures.NET, recognized by the UN and UNESCO as one of the most outstanding examples of creative and innovative e-Content in the world in the last decade, the “Jožef Stefan” Institute in Ljubljana (Slovenia) has successfully established a UNESCO Chair on Open Technologies for OER and Open Learning. The Chair is currently expanding its vision and strategy in collaboration within OpeningupSlovenia and with the Knowledge 4 All Foundation Ltd based in London (UK). At the same time both institutions launched together with other stakeholders OpeningupSlovenia, a bottom-up created and top-down supported new and innovative initiative in which Slovenia as a first European member state will attempt to create a unique nationwide research environment in open education. Dr. phil. Kostadin Cholakov on TraMOOC – Translation for Massive Open Online Courses TraMOOC is a Horizon 2020 collaborative project aiming at providing reliable machine Translation for Massive Open Online Courses (MOOCs), is coordinated by Humboldt Universität zu Berlin and its Consortium brings together 10 partners from 6 European countries. The main expected outcome of the project is a high quality machine translation service for all types of educational textual data available on a MOOC platform. The service will support 11 target languages, 9 European and 2 BRIC*. The core of the service will be open-source, with some premium add-on services which will be commercialised. Open source will turn the MOOC translation service into a platform that will enable the integration of any machine translation (MT) solution in the educational domain, for any language. TraMOOC project begun in February 2015 and will conclude its activities, having a lifespan of three years, in January 2018. The total budget of the project is approximately 3M€, partially funded by the European Commission under H2020-ICT-2014/H2020-ICT-2014-1 (Grant Agreement number 644333). Piet Grymonprez on MyMachine – from Kindergarten to Industry introducing a Creative Approach to all levels in Education As OpeningupSlovenia aims at researchers, practitioners, policy makers and educators to deeply explore open education and its impact on global education its project portfolio applauds the MyMachine project which is one of the flagship projects on open education that we are running and it included 150 children, pupils and students, 13 teachers and professors which created 120 ideas and drawings of dream machines and produced 4 dream machines in total. Alfons Juan on Language technologies for Education: EMMA, transLectures, Active2Trans The talk will address recent research activity by the Machine Learning and Language Processing (MLLP) group on Educational Technologies. In particular, it will review main results from the recently finished European project "Transcription and translation of video lectures" (transLectures). Also, it will discuss current results from the European project "European Multiple MOOC Aggregator" (EMMA), as well as from related, ongoing research and innovation initiatives such as the Spanish "Active Interaction for Speech Transcription and Translation" (Active2Trans) project. 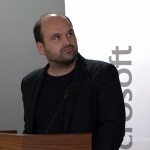 Opening up Croatia - The Croatian perspective on Open Education - Open education initiative in Croatia has been developing on different levels: by national authorities, organizations and individuals. Some elements that constitutes open education has been recognised by the National Strategy for Education, Science and Technology adopted by Croatian Parliament in October 2014. The new strategy emphasizes a need for lifelong learning, integration of ICT in education and development of digital content and Open Educational Resources. There has been numerous examples of good practice that address different aspects of open education in Croatia. 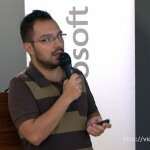 This presentation will mention some of them, such as MOOCs provided by Bura znanja, an organization affiliated to the University of Rijeka http://buraznanja.uniri.hr/ and video lectures repository for pupils http://www.tonimilun.com developed by two ethusiasts. The Croatian Academic and Research Network – CARNet is a national agency that provides internet service, education and support for integration of ICT for the research and education communities within a country including K-12 and higher education. CARNet has been undertaking a range of initiatives in this area including CARNet Moodle MOOC, Open courses @ Loomen and portal e-Schools. The recently started pilot project e-Schools will address some crucial issues for promotion of idea of open education, such as professional development of teachers and school principals. Ivan Obradovic on Opening up Serbia – The Serbian perspective on Open Education with BAEKTEL project an OER (Open Educational Resources) network An overview of the approach to production of open educational resources (OER) within the BAEKTEL (Blending Academic and Entrepreneurial Knowledge in Technology enhanced Learning) project will be given. The project’s main goal is the development of a TEL environment for creating, publishing and searching OER content by academic and entrepreneurial organizations in different formats and different languages. Universities create educational content intended for lifelong learning of employees within enterprises, while enterprises create best practice examples intended for enhancing the academic education of students. OER materials are produced using edX, an open access platform for publishing OER, while the search of available content is enabled by metadata described within ResourceSpace, open source software for managing digital content. The activities and goals of the University of Belgrade Center for e-Learning and distance education will be also briefly outlined. 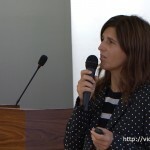 Elena Stojanovska on Opening up Macedonia – The Macedonian perspective on Open Education Open Education Macedonia – Current situation in regard of the Open Education in R. Macedonia will be presented, as well as main actors in this field. In these terms, initiatives for Open Educational Resources (OER) in primary, secondary and higher education will be elaborated and significant projects: what are the results, what is the impact, sustainability of the OER initiatives. On which level is the culture of creation and sharing of OER? Do we see the benefits of Open Education for the Macedonian society and how it can be further developed? At the end of the presentation, recommendations and ideas will be presented for future improvements, as well as for enhancing the regional collaboration. Knowledge 4 All Foundation Ltd (K4A) originated from the PASCAL Network of Excellence funded by the European Union that included more than 60 member sites. 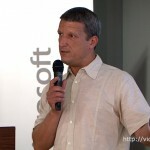 PASCAL has been very successful in supporting and promoting the development of the VideoLectures.Net site . Knowledge 4 All Foundation thus has been established to carry forward the development of this activity as well as other legacies of the PASCAL Network. It is a distributed institute that brings together researchers and students across Europe, and is now reaching out to countries all over the world. K4A has developed the expertise and scientific results that will help create new technologies such as intelligent interfaces and adaptive cognitive systems. To achieve this, it supports and encourages collaboration between experts in Machine Learning, Statistics and Optimization. It also promotes the use of machine learning in many relevant application domains such as; Machine Vision, Speech Haptics, Brain-Computer Interface, User-modeling for computer human interaction, Multimodal integration, Natural Language Processing, Information Retrieval, Textual Information Access and more. 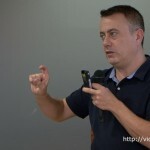 On the other hand it has helped create the VideoLectures.Net video repository, has strong connections with the OpenCast Foundation (creating the Matterhorn software) and Open Education Consortium (ex OpenCourseWare Consortium). K4A is also the originator and promoter of OpeningupSlovenia, a nationwide case study in the field of open education. K4A mainly enables Europe to capitalize on its strong research record in the area of principled adaptive systems design and open education. The PASCAL network has helped to train a new generation of professionals to take the above mentioned methods into other scientific disciplines as well as industrial applications, enabling the exploitation of the vast amount of data now being produced in many domains. Wearable technology, information visualization, open badges, open learning environments are just some of the developments described in many documents regarding HEI, K-12, vocational and lifelong learning. As mentioned before, much of these innovations are designed to increase access for all learners on multiple devices, and to enable deep anytime, anywhere learning. But schools are also rethinking professional development and the impact of adaptive learning, artificial intelligence, analytics and tools in bringing personalized teaching and learning to life. Microsoft is inspired by these innovations that support the kind of scalable and sustainable transformation we see in schools every day. In fact, Showcase Schools are already demonstrating many of the trends, challenges, and technology developments identified in these documents, additionally the Skype in the Classroom, new options like HoloLens, STEAM Learning find tools and mentors in the Youth Spark programs, the new Microsoft School Information Sync to support the issues of integrating data from multiple data source systems and Badges as credentials like those now offered in the Microsoft Educator Community – are just some of the synergies that can be connected in terms of technology presented at the event and is in favour of Microsoft community building and in line with the new Microsoft Education strategy. Mitja Jermol (Jožef Stefan Institute) and Azemina Njuhović (assistant to the minister of Education, BiH, Canton of Sarajevo) discussed in Ljubljana new collaboration opportunities between the two institutions and ultimately between the two countries, Slovenia and BiH. The topic discussed was innovation, technology and a showcase of OpeningupSlovenia and its results. Following this thread a decision was taken to offer the Bosnian Ministry the hosting and co-organisation of the “2nd Internet of Education” 2015 conference. This is the flagship conference by the Knowledge 4 All Foundation Ltd.
TraMOOC (Translation for Massive Open Online Courses), a Horizon 2020 collaborative project aiming at providing reliable machine Translation for Massive Open Online Courses (MOOCs), is coordinated by Humboldt Universität zu Berlin and its Consortium brings together 10 partners from 6 European countries. The main expected outcome of the project is a high quality machine translation service for all types of educational textual data available on a MOOC platform. The service will support 11 target languages, 9 European and 2 BRIC*. The core of the service will be open-source, with some premium add-on services which will be commercialised. Open source will turn the MOOC translation service into a platform that will enable the integration of any machine translation (MT) solution in the educational domain, for any language. TraMOOC project begun in February 2015 and will conclude its activities, having a lifespan of three years, in January 2018. The total budget of the project is approximately 3M€, partially funded by the European Commission under H2020-ICT-2014/H2020-ICT-2014-1 (Grant Agreement number 644333). ExplorEdu is a system of freely available web services and mobile applications for automatic identification, capture, enrichment, editing, in-depth analysis and intelligent use of freely available educational resources, existing web and mobile educational services, studies and results of research projects, lesson plans, rules and legislation in Slovenia, Europe and the world. 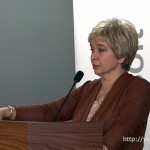 The purpose of the project is to establish an online service for automatic acquisition, structuring and analysis of all relevant data and information, open education, and mobile clients for contextual view, change oriented and semi-automatic creation of freely available training modules for the needs of the target groups of teachers, trainers, teachers, learners and researchers. ExplorEdu web services will constitute the core technology that will be used in existing information services such as SIO and ScienceAtlas, OpeningupSlovenia portal as well as the base service for the UNESCO Chair of open technologies and open learning. In Feb 2013 VideoLectures.Net was selected by the UN as the winner of the World Summit Award (WSA) in the “e- Science & Technology” category as "product of the decade". This consequently let to a close relationship with UNESCO creating a Chair in OER nad giving us patronage over the 1st Internet of Education conference and shareing and understanding the importance of new technologies shaping online education. Patronage is UNESCO’s highest form of support. It is granted to demostrate the Organization’s moral endorsement of this exceptional activity.